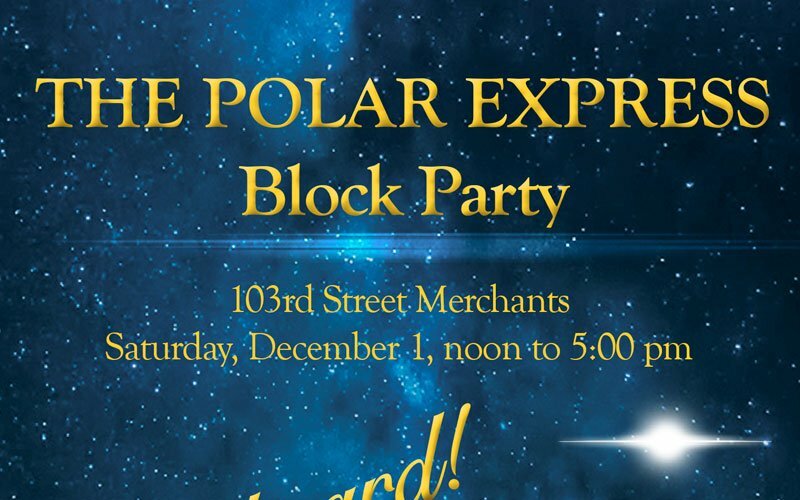 All aboard the Polar Express this Saturday! 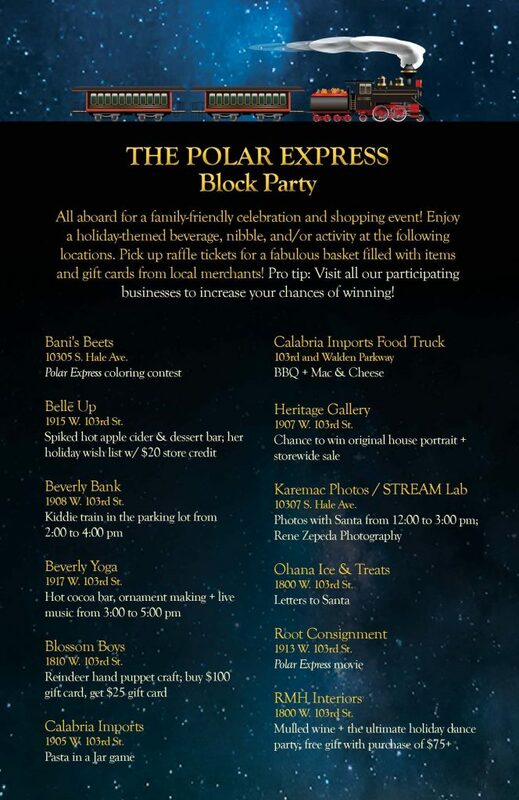 The businesses near the 103rd Street Metra Station are planning a holiday celebration and shopping event that will be packed with delights for adults and children alike. The fun begins at noon on Saturday, December 1, and continues until 5:00 pm. The following businesses are planning a special treat to share with customers who stop in to shop or learn about their offerings.